7 Days to Die is a PC game. It feels, even on consoles, that it is designed and meant to be played on the PC. The game feels ripe for mods, creativity, and community-based enhancements, but none of that applies to the weak console port. 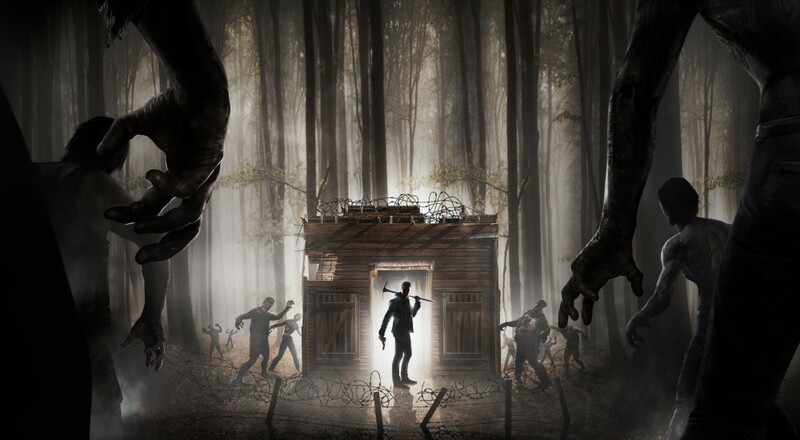 7 Days to Die is a survival horror game built in the same vein as Minecraft or more closely Ark: Survival Evolved. 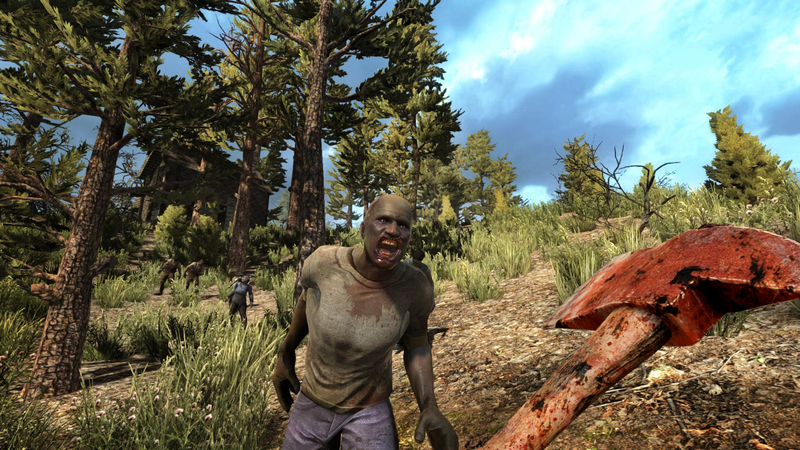 Blending crafting and survival mechanics, such as finding materials that you use to make clothes and weapons, with base-building elements that have players scrambling to gather supplies before night (and the zombies) descend. As a fan of survival and world-building games, 7 Days to Die appeared promising at first, but making my way through the world left me questioning all of its various pieces and mechanics as they attempted to come together into something more than a cluttered mess. Everything said here is addressing the Xbox One and PS4 editions of the game alone. My enthusiasm for this new take on survival horror quickly faded after just the opening tutorial. &It cannot be skipped (whether it’s your first time playing or 7th) but more importantly the tutorial also blocks a big portion of the screen with basic instructions rather than allowing the player to see. So after the first time, it's a useless waste of screen space that does nothing more than block your view. "Collect wood," the screen read, without further instruction. I quickly began punching trees, as Minecraft taught me, and thankfully it works. I punched trees, picked up pebbles and shared what I was doing with my partner working alongside me. However, 7 Days to Die binds players together in a lose-lose scenario, since one player alone cannot gather resources fast enough, but if that player goes to help the other build, you will quickly run out of supplies. The struggles we faced with the initial item collection were amplified by an inventory interface that is nothing short of abysmal. The closest comparison I could make is trying to play soccer with a hockey puck. Will things get where they should be? Sure. Are you going to knock stuff all over the place and it take far longer than it should? Every time, yes. Upon opening the inventory, the player is taken to a menu that shows the inventory space with all of the crafting recipes available on the side. Crafting is done by selecting an illuminated recipe followed by pressing a button on the D-pad. However, the newly crafted items move to random locations within your inventory; so if you need something on the fly, such as when a horde of zombies are chasing you, you probably won’t get to it in time. Past that, the clothing you create or gather cannot be quickly equipped from the inventory menu so you have to switch to the player-character menu just to able to apply clothing to their body. In a game that leaves the player battling the clock, the menus feel as though they are set as a hurdle to overcome rather than supporting the player. Page created in 0.8311 seconds.